Welcome back for the fourth segment in our series on building your own gaming PC. In the previous segments, we’ve taken a look at determining your requirements and setting a budget, choosing key components such as a CPU and motherboard, and choosing other components such as a graphics card, hard drive, and power supply. This time, we’re going to discuss the steps necessary to actually assemble your machine safely and getting it up and running. The first step in assembling your new computer is readying your workspace. This is a step which is often hurried through by first time builders due to the excitement of wanting to get the machine up and running NOW. However, by taking the time and effort to make sure your assembly area is setup properly and safely will save you headaches later on. Obviously the first thing you’ll need to consider is the space itself. You’re going to want somewhere that minimizes your risk of damaging any of your new components, which means we want an area that avoids damage from falling, electric / static shock, and liquid. If at all possible avoid assembling or working on the insides of your computer in a room with carpeted floors. Carpeting will dramatically increase the risk of electrostatic discharge which could destroy one or more components. You’ll want an assembly area that is large enough and sturdy enough to handle your case on its side, the components you’re currently using, any instructions you want to refer to, as well as a grounded power strip or uninterruptable power supply and your monitor. Ideally this surface will be at a height that is comfortable for you to work on. Often this will be a large desk, workbench, or even a kitchen table. If you have access to one, make sure to line your work area with a properly grounded electrostatic mat. Assuming you do not, there are some simple household objects that can help minimize your risk of static such as rubber-backed placemats or even a simple plastic tablecloth. Plastics are insulators, so they can reduce the chance of static discharge. Wearing rubber-soled shoes also helps. Additionally, wearing and properly using an electrostatic wrist strap will minimize the risk of static shock. Once you’ve prepared your work surface, you’ll want to make sure that all of the tools and other supplies you will need are within reach. In addition to the wrist strap mentioned above, you will definitely need one or more Philips head screwdrivers, cable ties, some snips, as well as any tools that may have come packaged with any of the components you purchased (like a processor insertion tray, or an adapter for easy installation of stand-offs). We’ve also found it nice to have something to keep all of those little screws in so they don’t roll away during assembly. While magnetic screw trays are nice, a simple glass or plastic dish will do. While this may seem like common sense, but remember to keep any and all liquids away from your components. If you absolutely need to get something to drink, keep it in another room and make sure your hands are dry before touching circuit boards. The idea of assembling some of the components outside of the case may seem a little strange, but is actually grounded in my experience working as a repair technician. It is incredibly frustrating to assemble an entire machine inside a case and beautifully manage your cables for a wonderful balance of aesthetics and airflow, only to have the machine not boot up properly and then have to disassemble the unit to figure out what component is at fault. Sometimes components are D.O.A. (dead on arrival), or sometimes they’re not seated correctly, or any number of other potential issues arise. The point is, by adding this step, we are ensuring that several key components (processor, motherboard, RAM, and power supply) are all in working order. This step requires the following components: processor, heatsink and CPU fan, motherboard, RAM, power supply, mouse, keyboard, monitor, and your graphics card if your CPU doesn’t have integrated graphics. You’ll also need the power cables for your power supply and monitor, whichever cable you intend to connect your computer to your monitor with (HDMI, DisplayPort, DVI, VGA), and your anti-static wristband. Finally, you’ll want the empty motherboard box and the large anti-static bag that your motherboard was in. Using some painters’ tape, line the outside lid of the motherboard box with the large anti-static bag. This will create an anti-static surface that we’re going to use in this step. First, ground yourself by attaching the alligator clip end of your anti-static wristband to an appropriate surface like the metal supports on your case. Then, holding the motherboard by its sides, place it on top of the anti-static bag topped motherboard box with the rear panel hanging off slightly (in case we need to install a graphics card). Next, we are carefully going to install the processor but this process varies depending on whether or not you bought an Intel or AMD chip. We will also provide links to instructional videos on YouTube as visual guides. Push down and gently pull out on the metal rocker arm to release it and then raise it up, which will release the metal CPU holder from underneath the retention screw. Raise the metal CPU holder to its highest point. Holding the sides of the processor, rotate the processor so the white arrow is aligned with the arrow or dot on the motherboard and then gently set the processor into the socket. Slowly set the metal CPU holder back underneath the retention screw. Push the metal rocker arm back down, then lock it back into place. This should remove the protective plastic shield on the metal CPU holder. Store this for later. If you’re using a cooler with thermal paste pre-applied, skip to Step 7. Apply a roughly pea-sized drop of thermal paste to the top of your CPU. You do not need to spread it around. Align the CPU cooler so that the fan cable can reach the CPU_FAN header on your motherboard, then gently push down on the plastic retaining pins until they “click” into place. If you are using an aftermarket cooler, follow the instructions provided with the cooler. Plug the CPU fan into the CPU_FAN header on the motherboard, ensuring that the cables are not getting caught up in the fan blades. If you have an Intel LGA2066 CPU watch this video instead. Release the metal rocker arm and pull it upward until it stops, which will open up the pin slots on the CPU socket. Holding the sides of the processor, rotate the processor so the arrow is aligned with the arrow or dot on the motherboard and then gently set the processor into the socket. The pins should fall in effortlessly. DO NOT FORCE, this will break the pins. Push the metal rocker arm back down to its original position, locking the CPU into its socket. Apply a roughly pea-sized drop of thermal paste to the top of the CPU. You do not need to spread it around. Place the CPU cooler on top of the processor so that the locking mechanism matches up with the tabs. Attach the metal brace without the locking mechanism on first, then attach the other end and lock the plastic mechanism. Once again, if you’re using a different cooler follow the instructions the manufacturer provided. Insert the CPU fan cable onto the CPU_FAN header on the motherboard. If you have an AMD TM4 CPU watch this video instead, which includes unboxing the Threadripper. Now that your processor and its cooling unit are installed on the motherboard, it is time to install the system’s memory. It is fairly straightforward, as the sticks are designed to only be inserted in a specific orientation. It is important to consult your motherboard’s operating manual to see what DIMM slots to install the memory into especially if you are using two or more sticks of RAM. This is usually pairs of slots such as 1 and 3 together or slots 2 and 4 together. Consult motherboard manual for proper DIMM slot pairings. Release the locking mechanism(s) on the sides of the DIMM slots. Holding the sides of the RAM stick ensure the proper orientation by aligning the notch in the base of the chip with the tab in the DIMM slot. Press down on both ends of the memory stick firmly which should trigger the locking mechanism(s) and secure the memory in place. DO NOT FORCE the RAM as this can damage components. Repeat with additional sticks of RAM, remembering the slot pairings from the motherboard manual. If your CPU doesn’t have integrated graphics, we’ll need to install a graphics card on the motherboard in order to be able to run our POST test. However, if you do have integrated graphics, please skip ahead to Hooking up the power supply. In the video, they’re installing the card inside a case, but as we’re not in the case yet we can skip the case-related steps for now. Release the latching mechanism on the motherboard. If it is a butterfly clip, gently press down. If it is a sliding latch, slide into the open position. Holding the graphics card in both hands, carefully insert into the PCI slot and push down on both ends of the card. DO NOT FORCE the card as it can damage components. Ensure that the latching mechanism is locked back into place, securing the graphics card. Now it is time to hook up the power supply in two (or three) connectors. We’ll need to attach the 24-pin motherboard connection, the 4- (or 8- ) pin CPU connection, and if you have a graphics card its 4-, 6-, or 8-pin connection(s). This video shows how to connect the motherboard and CPU connectors. Ensure the power supply is not plugged into the wall. Take the 24-pin motherboard connector and plug into the motherboard power slot. It can only be plugged in with the proper orientation. Take the 4-pin (or 4+4-pin) CPU connector and plug into the CPU power slot at the top of the motherboard. It too can only be plugged in with the proper orientation. If necessary, plug in the proper graphics card power connector(s) into the GPU. After each connector is plugged in properly, plug your PSU into the wall and make sure that your PSU switch is “on” if it has such a switch. Now that your main components are assembled please plug in your keyboard, mouse, and monitor. Make sure the monitor is set to the proper input if auto-detect is not selected. If your motherboard has a power button or switch directly on the board go ahead and turn it on. If your board does not have a power button or switch, we’ll have to manually turn it on using the tip of a screwdriver and two jumpers on the motherboard. The lower right corner of your motherboard will have a section of 9-pins that connect to the front panel. By touching your screwdriver to the proper pins, you’ll jumpstart your computer without a power switch. There should be a row of four pins and a row of five pins. We want the last two pins on the row of four (labeled pins 6 and 8 on the picture from Intel below.) Touch the tip of your screwdriver to pins 6 and 8 without touching any others. This should turn on the machine. If all goes well, your components should go through a process called Power On Self Test, or POST. You’ll know this has completed successfully if the monitor starts to show the boot process and eventually ends up in the system BIOS. If this did not complete successfully this indicates either the components were not installed properly or that one or more of them is faulty. If you have a debug LED on the motherboard, consult your manual to determine the exact nature of the error. Once we’ve successfully had the machine POST, we can turn off the power and unhook any external cables and peripherals (power cord, keyboard, mouse, etc). Next, unplug the internal power cables from the motherboard (and graphics card). If you have a graphics card installed, reverse the steps above and remove the card now. Once these steps are completed, we’re ready to install the components inside the case. Remove both side panels from your case and set the case on its side with the opening for the I/O rear panel at the bottom. Ensure that your case has standoffs installed. These may be pre-installed on the interior of the case, or you may need to install them yourself. Take the I/O shield which came with your motherboard and insert it into the rectangular opening in the rear of the case with the keyboard/mouse ports at the ‘top’ and the audio ports at the ‘bottom’. Grasping the sides of the successfully POSTed motherboard/CPU/RAM combination, set it carefully onto the standoffs and I/O shield and then secure it in place using the screws provided with the motherboard. Please remember that the screws should only be going into standoffs, not directly into the case. Your case may already have chassis fans installed, if so skip this step. Otherwise, now is the time to install these fans. Most fans have two arrows on the side to denote the direction the fan spins and the direction the air is pushed. Remember that hot air rises, so front and bottom mounted fans should be intake fans (pushing cool air in) whereas rear and top mounted fans should be exhaust (pushing hot air out). When the fans are installed using the provided fasteners, don’t forget to plug in any 3- or 4-pin connectors to the chassis fan headers on the motherboard. If they use the larger Molex connectors, do not plug them in yet. Installing storage solutions depends on your specific components. When or if you’re installing a HDD or SATA SSD, these will be installed in one of the storage bays provided in your case. If the bays are oriented along the front/rear axis, make sure that the SATA and power ports are facing inward. If the bays are oriented the other direction (currently top/bottom as you look down at it), make sure the ports are facing downward. This is for ease of cabling later. If you are installing an m.2 or PCIe SSD, follow the instructions provided with that component. To install your graphics card you first need to remove one or two PCI protectors on the rear of the case, depending on your card. This will always be the cover next to the top-most PCI slot on your motherboard (and the one below it, if needed). Then, release the latching mechanism on the PCI slot. Carefully insert the graphics card, pressing it down into the slot. The rear panel of the card should line up with the opening you just made on the rear of the case. Secure the card by using the PCI slot latch as well as any screws from the port covers you removed earlier. The vast majority of cases today require the power supply to be mounted at the bottom of the case, and we will assume in this tutorial that yours is one of these. 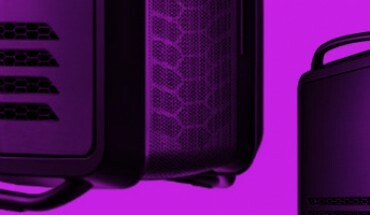 First, inspect your case to see if there is a vent at the bottom of your case for airflow purposes. If so, then you want to have your power supply’s fan aligned with that vent, so it can pull in cool air from outside. If it doesn’t have such a vent, then orient the fan facing upward into the case so it can pull in the warmer air and vent it out the back. Once the orientation is correct, secure the power supply to the case with the provided screws. For now, the only cables we should have plugged in are attached to the CPU fan or chassis fans. You shouldn’t have any power or data cables installed yet, as we’ll get more into that below. The final parts of the assembly is to run the cables between components: from the PSU to other parts, from the HDD/SSD to the motherboard, and so on. This merits its own section because of the importance of cable management. When done well, your cables will not only connect each component necessary but they will also look pleasing and only minimally interfere with airflow. When done poorly, it can look like a rat’s nest which can collect dust and cause your unit to suffer from unnecessary heat. The simplest way to explain basic cable management is, whenever possible, get your cables to run behind the frame the motherboard rests on. Many cases encourage this by providing some extra space behind the frame, between the frame and the side panel. Start with the cables from the power supply, run them out the main cable management hole at the bottom, then run them back through whichever cable management hole is nearest the component. Similarly, run SATA cables through the same cable management holes between your storage drive(s) and the motherboard. Next, run the front panel cables from the case through the lower management hole and plug them into the motherboard according to the instructions provided with your board. Finally, when all cables are properly routed you can bundle them and loosely strap them together with cable ties or Velcro straps. Snip away any excess cable tie once secured, so that they don’t get caught up in a fan. For a more in-depth tutorial on cable management and aesthetics, Tom’s Hardware provides an excellent beginners’ guide. With your components installed inside the case, and your cables nicely managed, its time to get the computer up and running and loaded with software and games. We hope you enjoyed part 4 of this guide on building your own gaming PC, and invite you to join us for part 5: Software, troubleshooting, and other helpful links.